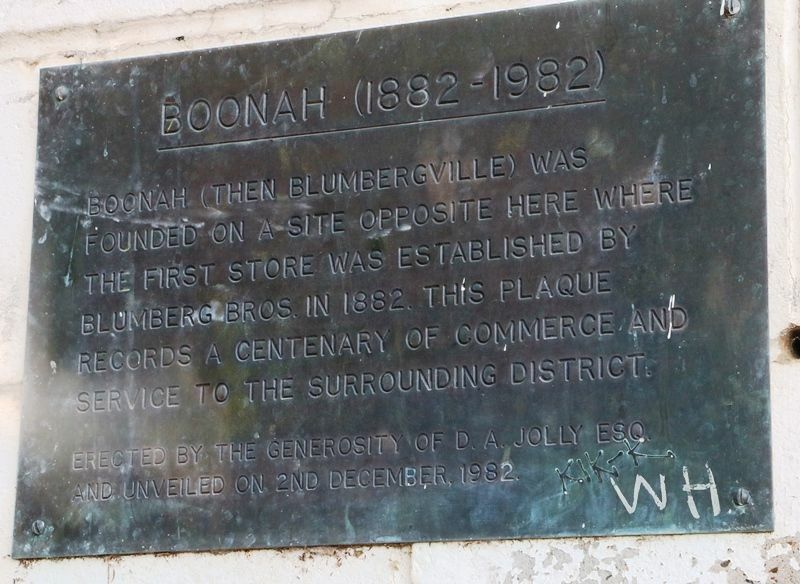 The plaque commemorates a centenary of commerce and service to the Boonah District from 1882 to 1982. The first store, Blumberg Bros. was established in 1882. Boonah (then Blumbergville) was founded on a site opposite here where the first store was established by Blumberg Bros. in 1882. This plaque records a Centenary of Commerce and Service to the surrounding District. Erected by the generosity of D. A. Jolly Esq and unveiled on 2nd December, 1982.